The Brannin Cabin is named after Stanton Brannin. Mr. Brannin was the owner of the Satisfaction Mine in Georgetown. He was a short man that wore size 6 boys’ shoes. He never shied away from a fight and often settled arguments with his six-shooter or knife. It is said that he married the daughter of an Indian chief and sired 13 children. He later purchased a ranch near the current location of Lake Roberts, New Mexico where he had hundreds of goat, horses and other livestock. Stanton and his family drove the animals to Montana where they lived out their years. 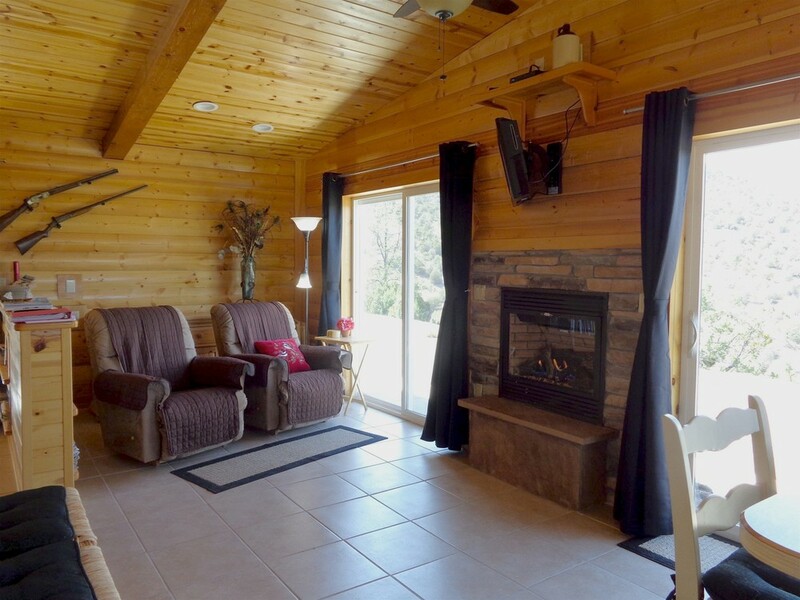 This log cabin has a very warm and cozy design. Being on its own road, it is very private. Long range views are awesome from the two sliding glass doors located on the front side of the cabin. 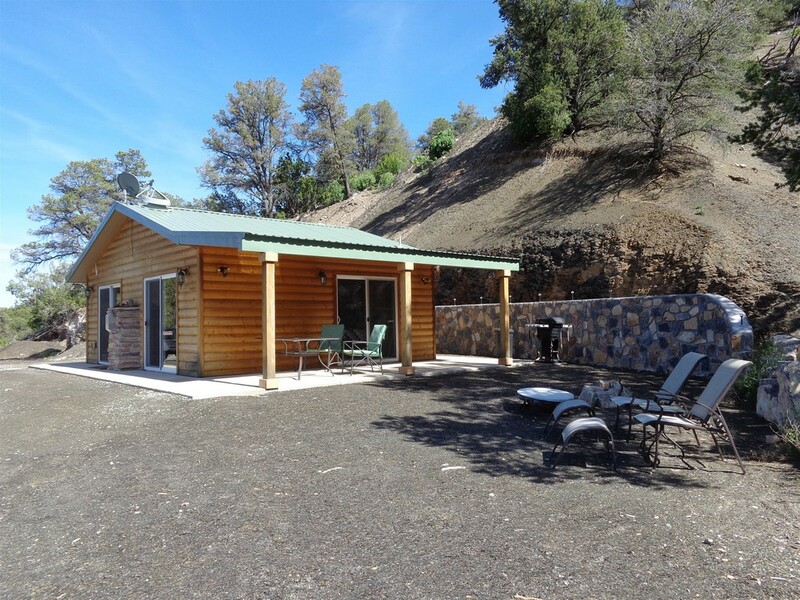 The large side yard has a gas grill and gas fire pit with seating area. The cabins interior motif is hunter/trapper/trader after Mr. Brannin’s many ways of life. Folks enjoy the large side porch rain or shine!